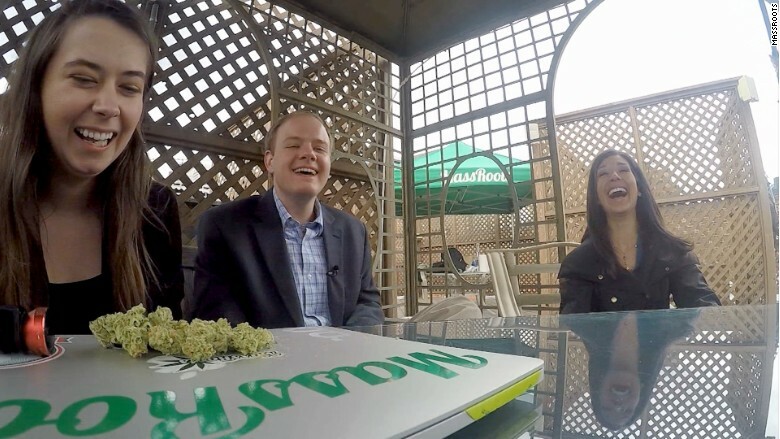 Isaac Dietrich [center], co-founder of MassRoots, at his startup's weekly rooftop Cannibis smoking session. 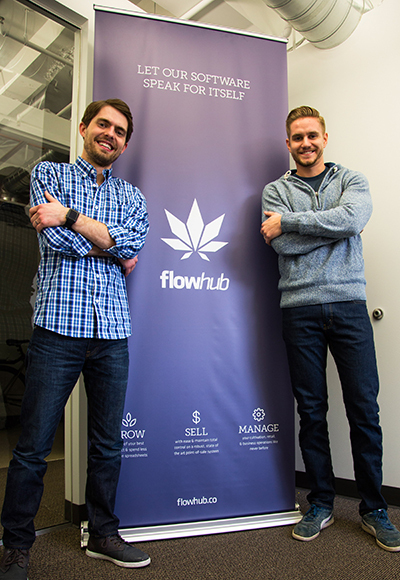 Kyle Sherman and Chase Wiseman, co-founders of Flowhub. High There! launched 10 months ago and has 150,000 active users. MassRoots, which launched in 2013, models itself as a Facebook (FB) for pot users and expects to cross 1 million users by 4/20. MassRoots employees have weekly brainstorming session enhanced by Cannibis. Related: Should I invest my retirement savings in a marijuana business?